Over the years We have successfully organized many group buys. 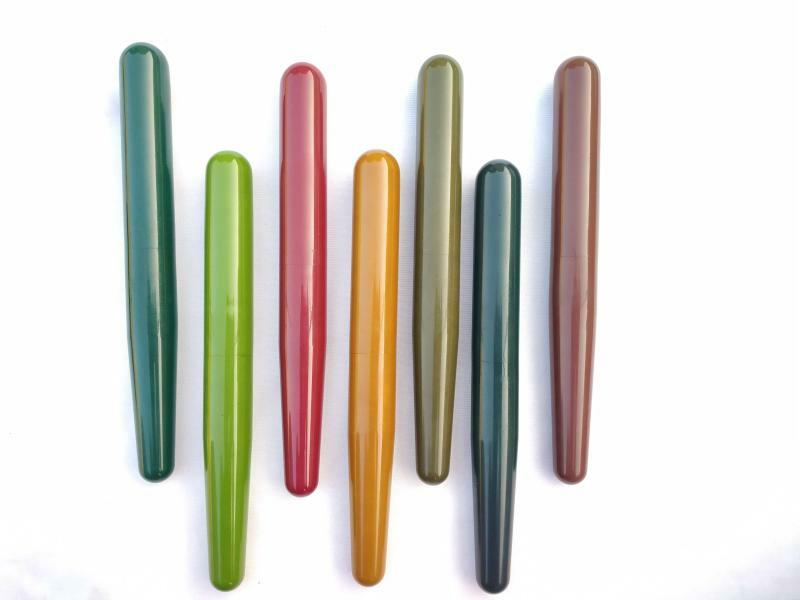 We are happy to introduce these New Solid Ebonite Colours to FPN'ers . There are lot of Reviews for these Models in various FPN threads. Shipping: Via Registered Post which is included in Price and takes 2 -4 Weeks. Edited by mpkandan, 04 March 2019 - 17:04. I hope the colours are as bright as they appear in the photos. I like these new lively plain colours, would you happen to have some photographs of them in matte finish, which I tend to prefer ? Edited by mpkandan, 04 March 2019 - 11:18. Form Submitted, Clipless model 4, Quetzal green, Bock titanium fine. These look great! I've been waiting for this! Especially glad I found this thread and didn't have to try to manually enter the link from Instagram! LOL Ordered a Model 5 in polished Chocolate Brown with a Jowo Chrome Medium and a 4C in Crimson red with a Jowo Fine nib. Can't wait! 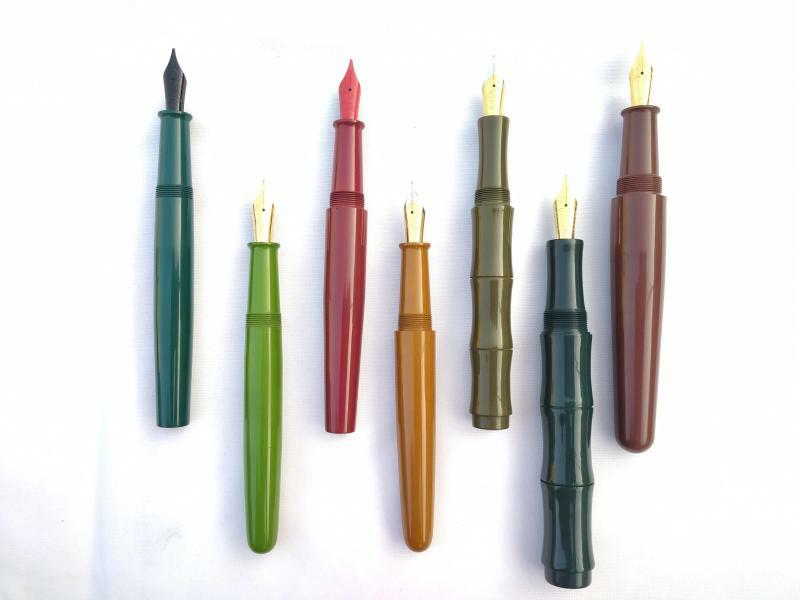 I'm attaching the Matte finish pens in these colours for your reference. Form submitted and money sent. Now, to patiently wait 4-6 weeks! Thanks a lot Mr Kandan. 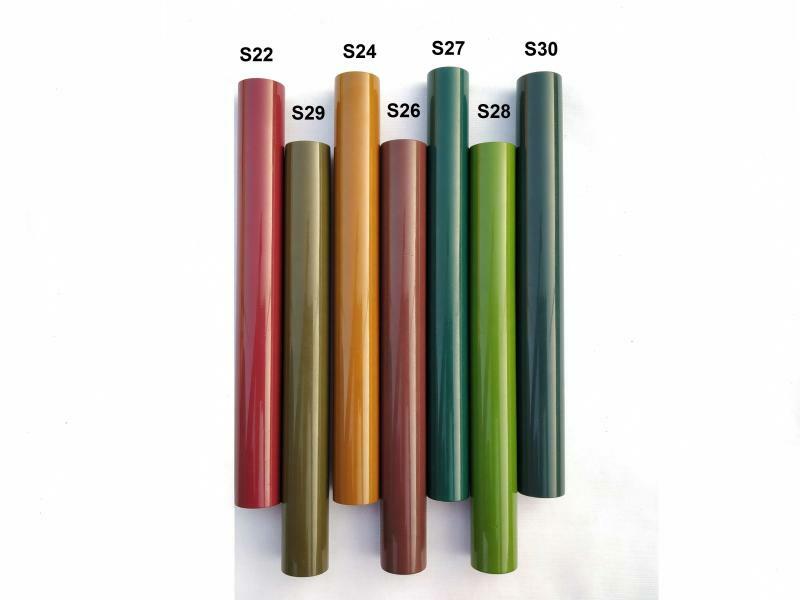 Is the one in the middle S30 Solid Quetzal Green ? 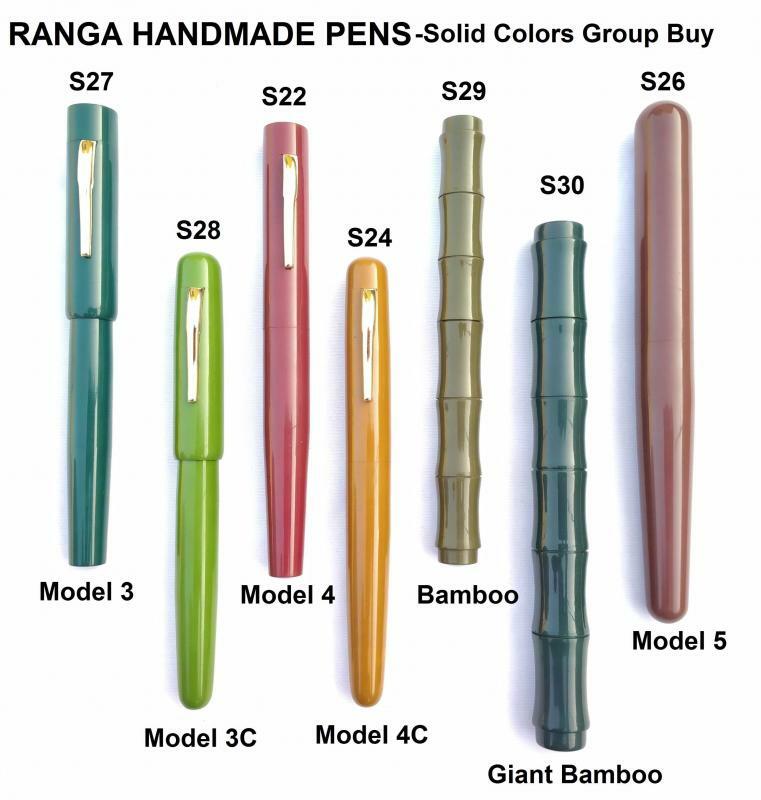 What kind of customization is available on the section of model 5 if I would like it to taper less than usual ranga models and to minimize step-down from the barrel? I love all your greens!!! It was the brightness of the Grass Green and the Golden Brown which I found so attractive. All too often non-black ebonite pens are just a little.....dull. Looking forward to the two I've ordered (and now paid for). I went for s27 model 3 clipless with Bock titanium M.
Hello, I liked the one in the middle. Can you tell me what color is??? thanks! Two pens ordered and money sent. Basic Model #3 and 3C in teal and military green bakul finish. Been three days and the anticipation is wearing on me. Form submitted and money payed.